A Utah-based flat-fee brokerage known for its offbeat marketing wants to raise $10 million in a new funding round, according to newly filed financial documents. The U.S. Securities and Exchange Commission documents indicate that Homie has already raised about $2.3 million out of its new $10 million offering. The documents were filed on Jan. 15 and indicate that Homie expects the new fundraising round to last less than one year. Homie launched in 2015 and carried out three rounds of fundraising over the ensuing months. According to Crunchbase, the total haul from those rounds was about $8.3 million. This latest round of fundraising appears to move the company in that direction, though multiple Homie executives did not respond to Inman’s request for comment Wednesday on what lies ahead. If the past is prelude, however, it’s reasonable to expect both expansion and some cheeky marketing efforts from the company. Homie’s pitch is that it can save consumers thousands, and it charges a flat $1,500 listing fee for sellers who choose the company over traditional agents. For buyers using the company, Homie refunds commissions up to $5,000. The company claims to have saved consumers a total of about $34.4 million. 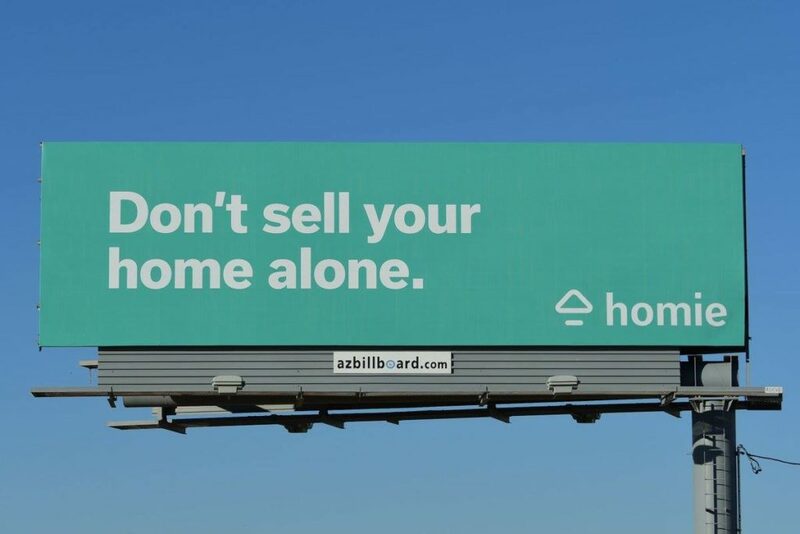 Homie’s flat-fee strategy has helped it grow on its home turf in Utah — where it currently has a string of movie-themed billboards — and it now operates in Arizona as well. However, the company is perhaps best known for a mock-political campaign it ran in the Phoenix area last year. The marketing stunt involved distributing posters that encouraged people to “Vote for Homie” and included a website called HomieForSenate.com. Though Homie won’t be trying that exact same advertising strategy again, chief marketing officer Joe Grover told Inman last year that it was a “really, really effective campaign.” And he indicated that similarly “creative and disruptive” marketing is part of Homie’s style. If the company is able to raise another $10 million, then, consumers should probably expect to see more irreverent ads.